The first young adult book by a #1 New York Times bestselling author. Whidbey Island may be only a ferry ride from Seattle, but it's a world apart. When Becca King arrives there, she doesn't suspect the island will become her home for the next four years. Put at risk by her ability to hear "whispers"--the thoughts of others--Becca is on the run from her stepfather, whose criminal activities she has discovered. Stranded and alone, Becca is soon befriended by Derric, a Ugandon orphan adopted by a local family; Seth, a kindhearted musician and high school dropout; Debbie, a recovering alcoholic who takes her in; and Diana, with whom Becca shares a mysterious psychic connection. Elizabeth George enters the Young Adult genre with her wonderfully suspenseful novel, The Edge of Nowhere. The story is equal parts mysterious and romantic to create the perfect beginning to a series centered around perception and truth. Fourteen-year-old Becca King finds herself transported from San Diego to Whidbey Island, hiding from her sinister stepfather and waiting for her mother to find a safe sanctuary. The moment she steps foot on the remote island, the carefully laid out plans for Becca become awry and Becca has to make the best of a situation gone from unfavorable to downright unpleasant. The story's mild pace builds reader anticipation as an unexpected accident throws island residents into chaos; friends cast around blame and suspicion and secrets are subtly revealed. The wide range of colorful characters Becca meets on Whidbey provide entertainment and a reason to get involved with the outcome of the story. George's cast of characters are engaging, either deserving sympathy and devotion or a great wind to knock sense into them. The story is told in multiple perspectives, so readers are able to feel a medley of personalities. For instance, Becca is more mature for a fourteen-year-old on the run from a criminal than expected, giving her a more relatable connection, Seth is a little lost in life but filled with good intentions, and Derric is filled with promise that readers will hope to see more of in the series' future. As there are in most books, this one features characters like Hayley and Jenn that will raise eyebrows and cause readers to question their actions, reasoning, or sanity. George's ability to describe life on Whidbey Island, relationships, and interactions is astounding and familiar. It's not difficult to sink into the story, or become eager to crawl into Becca's shoes. 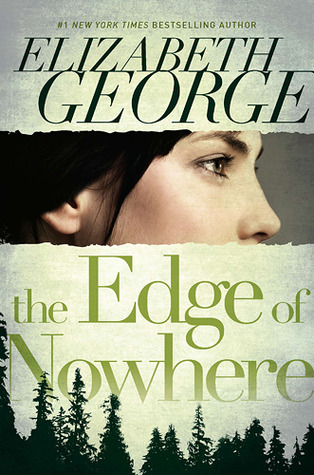 The Edge of Nowhere is a novel that can be experienced by any measure of readers!